Introduce family members to students. Focus on singular and plural, for example one sister – two sisters. Make sure that students add “s” to plural family members. Create a small picture story on the board as a guideline. Let students fill in their own family members by adding the amount of members what they do have. 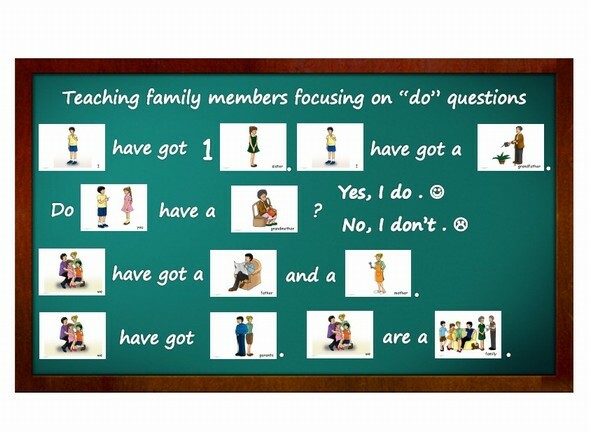 Form simple sentences on the board as a reading exercise and let them draw their own family. 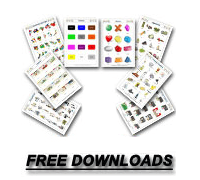 Show and teach students several new vocabulary words using the picture cards. Then remove one or two from the set, and see if students remember the word, the spelling or how to use it in a sentence.